Crewe Garda Dryer Bank has wooden arms and comes in Black as standard. 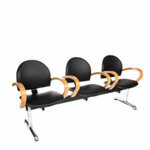 It is available as two or three seater with dryer holders (Please use the drop down box to choose). (Hood Dryers Not Included). 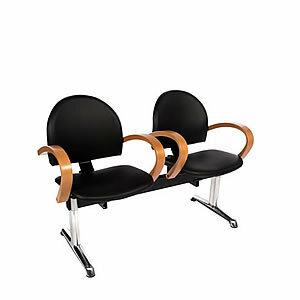 Dimensions: Height 84cm, Two Seater Width 123cm, Three Seater Width 191cm, Depth 59cm.